There is long debate as to why hand-coding is preferable over website builders and through this blog post I will decipher why hand-coding always beats site builders. Though templates save you time and efforts and look a reliable way to create websites but the reality is something different. Here are some reasons as to why it is better to hand-code everything on your own. As hand-code doesn’t rely on templates and scratch, thereby, developers have to hand-code everything giving them the full-fledged control over the codes that structure the website. Hand-coding provide flexibility. If you use website builders and let us say you want to switch to a different hosting platform, now what? Switching to a different host is cumbersome because the source code of your web pages is translated into metadata, hence, you have to go back to square one i.e. reconstruct the pages and their respective functionality. But with hand written codes, as you can easily copy the content. Having full control over your site means the opportunity to have a reliable, more sophisticated and faster site. For people who think coding is drudgery and tend to rely on third parties. Just to save themselves the time of coding they spend time working out to integrate third parties code. There are times when it is difficult to understand what their code says. In the worst case, it may yield undesirable results which are not expected of. For example, if there is an error in the code, then you need to recheck the whole code and try to fix it but before that, you have to grasp every minute detail of the code which is time taking. You have to spend time diagnosing and troubleshooting that bug, hence, spending double the time as compared with your own code. Easier to customize the theme, template and design. Another advantage of hand-coding is that it provides you with the flexibility of creating websites the way you want and the ease of its maintenance. As earlier said, there are some cases where you have to modify something or fix a bug, since you have developed the code, it is quite easy for you to incorporate the modification in order to change something whereas, it is not possible for website builders as they don’t give you the privilege of modifying their codes. When you incorporate third party codes you permit unwanted and futile complications and materials as they are a part of the code. You can’t help but use those meaningless codes just because they are an internal part of it, on the other hand, websites that are hand-coded have proper HTML structure with no pointless codes, hence, your website rank much higher than other websites because search engines can easily find your websites resulting in better SEO rank. For website builders, it may affect the SEO perspective. Websites made by hand-coding are more optimized and faster as you know what features to leverage and which ones to ignore. Just by focusing on the key essentials of the site can enhance the efficiency making it faster. With hand-codes, you have a greater level of accuracy and control making your sites faster. Look at the source code of any website builder and you will see a lot of weird metadata that contains useless URLs. Having so many unwanted URL instructions slow downs the site, thus, increasing the chance of facing technical issues plus lower SEO rank. With coding, you write less code but website builders often use unnecessary codes thus making the site slower. Consistency throughout the website enhances the user experience and provides for a smoother navigation throughout the site. Having all the widgets, icons, tabs, menu bar etc. in the same place can work wonders for your site as users don’t have to relearn how your website functions every time they go to a new page. This process adds an enchanting visual appearance to your website. Many people rely on website builders, hence, increasing the chance that the two websites might be similar, you don’t want that to your site, do you? If you want to stand out in a crowd, then you have to not follow the herd. If you want a unique website then hand coding is the way to go. While with website builders, where you use existing templates you might end up looking like another website. You might have noticed that on some websites there are n numbers of advertisements, the reason being it was built on existing templates. Just because it is a free site, extra lines will be added for the mandatory advertisements as if they are complementary. 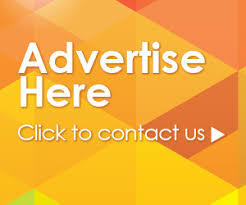 If you don’t want to provide free advertisement service for your website, then build your site on your own. When you hand-code you break through all the restrictions and can do whatever you want to do with your website. Hand coding brings much more detailed into the content and enhances the website’s appearance. Incorporating designs and updates in hand-coded websites are easy because design attributes are controlled from style sheets and are shared across all the web pages, hence, any change made in any web page would ultimately reflect in all the web pages. For example, moving a design element would require a simple modification in the code in style sheet without having to do it separately for all the web pages as the change would apply to all the pages instantly. With website builders, you would need to modify each and every web page. As already discussed, all the website builders use the same code for all the sites, hence, they are more vulnerable to online threats like script injection, hacking and much more. You can add the extra layer of security to your site through hand coding. As all the website build from templates have the same source code, hence, hacking one website leads to other similar sites. So hand-code your website and make it more secure. There is no doubt that writing own codes are profitable and is rewarding in a lot of ways. After going through the aforementioned points you can clearly make up your mind as to why you should use hand-codes. It is not like that you should refrain from using website builders as there are some really good kinds of stuff out there and you can learn a lot from there but you have to consider the fact that whenever you incorporate those templates on your site, you also permit unwanted risks and accept complications that come with them. With hand-codes at least you have the privilege that if anything goes wrong, you know where to look for and how to fix that as you have enough knowledge to eradicate that problem. Author Bio: – Jessica Alba is an ed-tech enthusiast and has been associated with CWS Technology as a writer for more than 7 Years. CWS is the leading web development company that also provides Android App Development service and other IT solutions. Jessica has a passion for writing on emerging technologies like application management outsourcing, consulting, system integration etc. CWS Technology Linkedin – https://www.linkedin.com/company/cws-technology-inc.